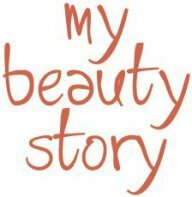 「Mybeautystory」- RETAIL PRICE $36!! Shu Uemura Lipstick Collection. The texture of the lipstick is nice. Sheer and moist. Colour is in between red and dark pink. Speedy delivery- Ordered on Friday received on following Monday!! Bubble-wrapped well protected. Second purchase. Bought altogether 3 lipsticks. Nice texture and colour. Will buy again. I've received my lipstick in good condition. Unexpected the colour that I want, it look so much different online. I paid for 2 lipsticks but only received 1 on delivery to my disappointment. Seller did not take any initiative to explain why 1 is missing until I submited a query online. Seller simply cancelled and 'refund for 1 and now I have to 'keep track' of when this refund will be credited back to me. Btw seller did not leave any appropriate phone number or email for buyer to reach out to them on Qoo10 so it's hard to communicate to seller when such things happen. Potential buyers please take this into consideration when you purchase online. Received in good condition and good value. However, colour does not seem to match colour code. Will check again. May I know the expiry for sheer colour glow in pink and SRD150? 113436953, Order number 2300182222. I placed my order on the 22/9. Please update me on the status. Cart number 113436953, Order number 230018222, order placed on 22/9. I have not receive the item. I would like to cancel this order. Please advise. Have tried to contact you since yesterday, I have not receive my order. I would want to cancel the order. Hi, the status for your parcel is currently on delivery. Thus, we will not cancel your order. Thanks. Hi, it will expire in year 2019. Thanks. Do send us at email at mybeautystory@hotmail.sg for store collection, For next week, we are open monday and wedneday 2-5pm. There will be no collection between 12-17 august as we are moving premises. Thank you. I am seeking your advice on your time availability to collect this and yet I do not get any reply. I want to refund this item in this case.